At G & A Certified South, our mission is to serve the community both commercially and residentially with the most qualified and uncompromising workmanship and services. We work with dedication and integrity, and we strive for a position of leadership in the roofing industry. With a foundation of respect and trust, our goal is to build lasting relationships, striving for complete satisfaction of all commercial and residential projects that we undertake. We emphasize the latest technologies and newest products. Our staff is ready and available to partner with our customers throughout the duration of the project and beyond. We will never skimp or cut corners. We take extreme pride in our work which is why we treat every job as if we were working on our own roof. From the customer service you receive when you first contact us to the work we do on the site, the materials we use, and the results you'll get when the job is done, you'll experience how seriously we take our job. Call us today. Orlando roofing contractors with over 20 years in Orlando We have repaired and replaced thousands of roofs for people just like you. Shingle tile flat metal we do it all and with style. Locally owned and operated, Roofing & Company was formed to service all of your roofing needs. 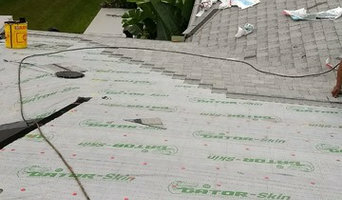 Having lived in Central Florida all of their lives, the owners of Roofing & Company are fully aware of the local building codes and understand the problems that occur in our unique climate. Call on Roofing & Company, LLC, for residential roofing, commercial roofing, multi-family roofing; replacement, repairs and maintenance. We have 23 years of experience. 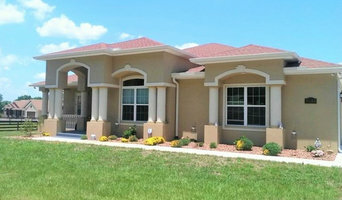 Gilbert's Construction Services Inc. is a roofing contractor / roofer serving the Orlando, FL area. Services include Roofing, Roof Tarping, Tile Roofs, Roof Replacement, Roof Installation, Roof Repair, Commercial Roofing and Painting & Staining. Here at Roof Army - we strive to provide the same work ethic, attention to detail, overall values, and structure the military uses to protect our lives and apply them to protecting homes and their roofs. We are a fully licensed, bonded and insured commercial & residential roofing company. We have a team of experienced technicians that are knowledgeable, honest, and professional. All of our employees are also covered under Workers Compensation. We hold pride in the fact that BuildZoom rates us among the top 10% of all 191,428 contractors in Florida, which should speak volumes in regards to the level of service and professionalism that we can provide you. Why should I hire Orlando, FL roofers to handle my roofing and guttering? 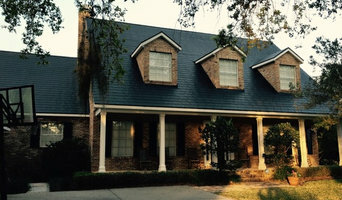 There are a wide variety of materials available and your Orlando, FL roofers can help you decide which option is best. You might look at clay, slate or concrete tiles and your choice will depend on cost, the style of your home and the local roofing style. In the North West of the UK you will see a lot more slate tiling, whilst in the South East there is an abundance of clay roofs. If you are in a conservation area you may find that your choices are more limited and you may need to look for reclaimed tiles; local Orlando, FL roofing contractors will be knowledgeable in this area, so ask for their advice, too. How do I find good Orlando, FL guttering specialists and roofers? Search for Orlando, FL roofers and gutter cleaning specialists in the Find a Pro section of Houzz. Read their profiles, try to match their core skills with the problem in hand – some specialise in flat roof repair using roofing felt, others only work with roof tiles – and then see what previous customers have to say about their quality of service. Ask for personal recommendations from friends and family. Ideally your shortlisted roofing and gutter specialists or experts are members of the National Federation of Roofing Contractors (NFRC), the Guild of Master Craftsmen or the Federation of Master Builders (FMB). Each trade organisation demands a high level of expertise and imposes a code of conduct on its members. TrustMark is a government-endorsed scheme that independently assesses tradespeople and allows you to lodge a complaint if necessary – look out for that. Call them round for a consultation and make sure you request a written quote. Cheapest is not necessarily the best; more importantly, who can you work with? Find Orlando, FL roofers and gutter cleaning professionals on Houzz. Narrow your search in the Professionals section of the website to Orlando, FL roofer or gutter specialist. 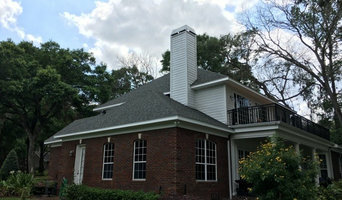 You can also look through Orlando, FL photos by style to find a roofing project you like, then contact the specialists or roofing contractors who designed it.